This sous vide lamb neck recipe is cooked in the water bath to help tenderise this tougher cut of meat. 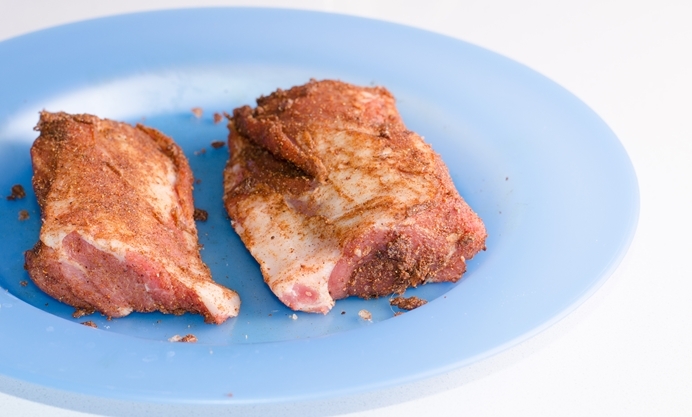 Moroccan spices add a beautiful warmth to the meat. The word confit describes a way of cooking meat, fish or vegetables for several hours at a low temperature, encased in fat. You will most likely have heard of duck confit, and will know that once removed from the cooking fat the meat is tender and lean. We use the sous vide cooking method to achieve the same soft, melt in the mouth texture, but with minimal added fat. 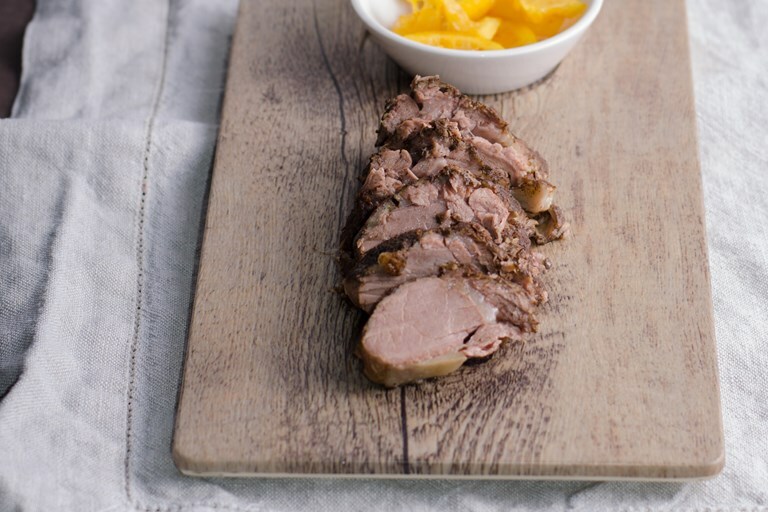 Cheaper cuts of meat, such as lamb neck, are richly flavoured. To get the best out of them a low and slow cooking process allows the meat fibres to break down and tenderise. A slow cooker is an economical and easy way to do this. However, we’ve found that sous vide cooking allows precision cooking for even more extended periods, and results in meat that is meltingly soft and full of flavour. You can also get away with using a lot less fat to cook the meat in a sous vide. 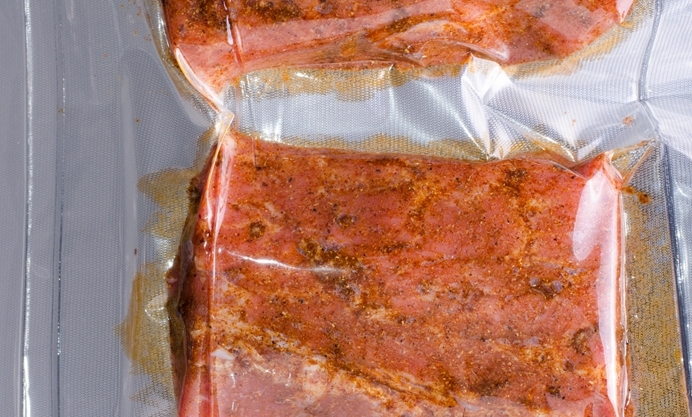 Using a vacuum seal on the cooking bags results in a cooking environment that concentrates flavour so sous vide cooked food needs less spice and flavouring added to it. We have used different cuts of lamb, beef and chicken in the sous vide, including lamb shank, Ox cheek and Chicken Breast. Indeed it is the best way to get tender poached chicken for slicing or shredding into salads or grains. We served this particular recipe for lamb neck fillet confit at one of our supperclub events last year, alongside cumin seeded flatbreads and preserved lemon. You could also pair the lamb confit with couscous, freekeh or potatoes. Another idea is to pull the meat into strands to fill sheets of brik (or filo) pastry to make pastillas – like this recipe.